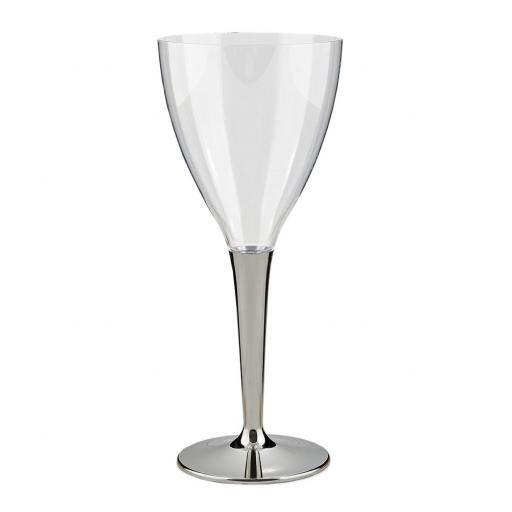 Mozaik clear disposable plastic wine glasses with a silver stem and base. 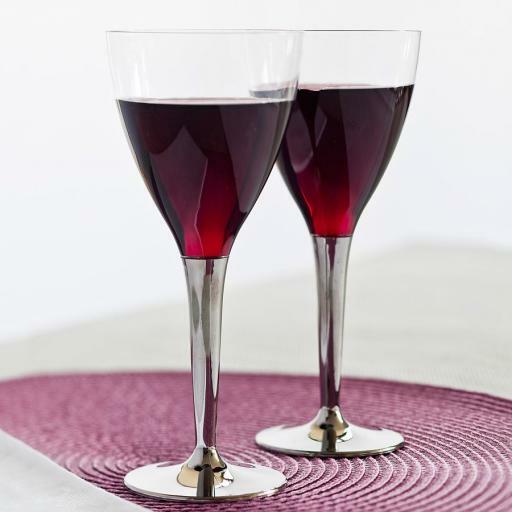 These wine glasses are ideal for red wine, white wine, non-alcoholic drinks, alcoholic drinks and cocktails. Perfect for indoor and outdoor formal gatherings, parties, bbqs, picnics, celebrations, events and for home entertaining. Affordable clear plastic wine glasses that you can hand wash and reuse, or simply throw away. PLEASE NOTE: Our Mozaik glasses are packaged with the stems and glasses separately and require some simple assembly before use.